... some of the Culinaria series of world cuisine cookbooks, which are now on clearance at Borders for $9.99. These cookbooks are very difficult to find, and the prices wildly fluctuate as they go in and out of print. that I even named my blog after them. 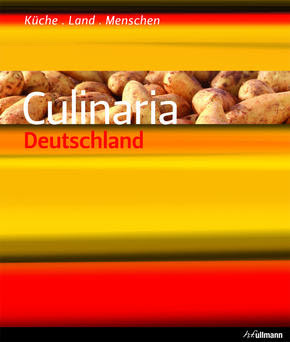 The Culinaria series, which consists of the Caribbean, France, Germany, Greece, Hungary, Italy, Russia, and the United States, specializes in cultural and regional specialties in each of the countries featured in the books. There are many recipes for classic dishes and the recipes seem to be uniformly excellent, from what I can tell from the few reviews online and my own experience. 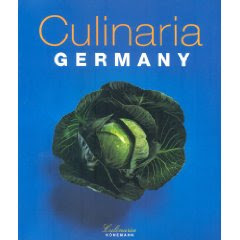 The German publisher Konemann started putting out the Culinaria series out about ten years ago, and most of the Culinaria cookbooks have gone through two editions. in Autumn 2010 the Japan volume will be published in German, with an English translation to appear in the Spring of 2011. However, this person says that further volumes are not planned for the time being. If you want to suggest a volume for the series, you should write to the publisher – see my earlier email (above). They replied in German, but really, I think it would help if they heard from more fans of the series. I would kill for a copy of the Culinaria India that was never released. Well, we are well into 2010 and unfortunately no Culinaria China or India yet (in english)… sob.. sigh..
still working on Culinaria Japan. Takes more time than expected especially due to the Fukushima incident and we have to invest more money. They NEED Japan, Korea, China (probably a Boxed set) Thailand, Philippines etc. CULINARIA JAPAN is coming up ! I have worked very hard to realize it in its due time. due to circumstances of the publisher.